Developed by Atari Veteran Curt Vendel and his company Legacy Engineering the Atari flashback 2 launched in 2004, improving vastly over the original flashback and still a favorite among the retro Atari crowd today when compared to newer flashback iterations. 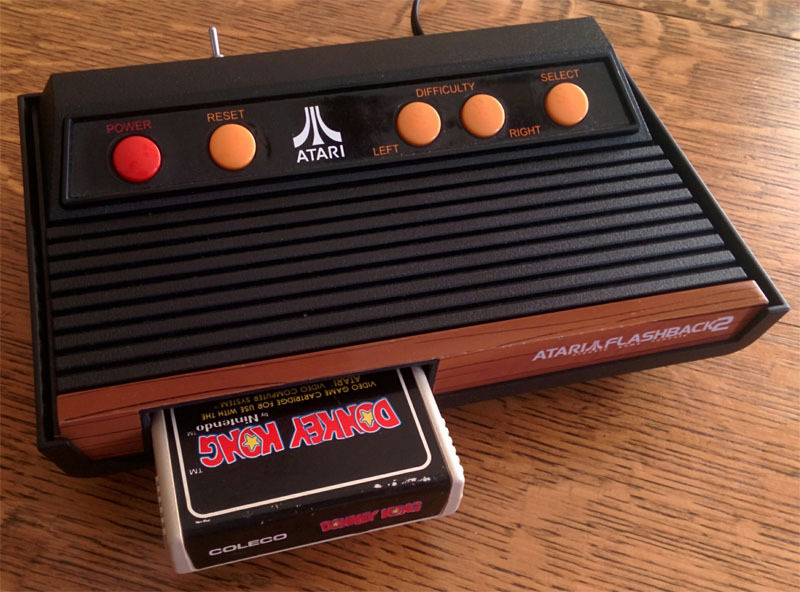 Features included real Atari-on-a chip hardware, Classic Atari 2600 modes (difficulty switches, black & white), 40 built-in Atari 2600 games, original controller capability, and originally had plains to include a catridge slot to play additional Atari 2600 games. 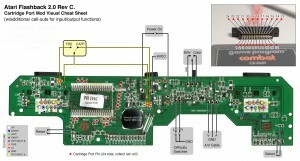 While the plans to include a cart slot at launch were eventually scrapped to meet the projected Holiday 2004 release date and to limit production costs, fortunately it is rather straightforward to add the slot yourself, with all the required solder points visibly noted on the board itself. 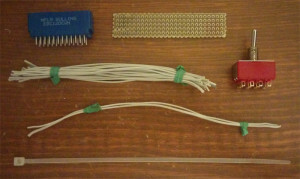 For this mod we will need a 24 pin edge connector, which can be taken and repurposed from a non-working Atari 2600 or purchased from an electronic parts supplier. Digikey part S3304-ND works well. Wire length is best kept around 3″, don’t want them too long to get tangled up in a rats nest and caught on something to be pulled off the contact, but you also don’t want them too short where they won’t even reach from the placement of the cart slot to the motherboard when everything is done and put back together. Cut 2 wires an inch or two longer than the others, more on that later. Also of note, a Rev C board was used for this mod and may not match your Flashback 2 if you have the launch model 0.X or the Rev A boards, which will eventually be covered when these boards are acquired and digested. Time to get started. To open up the case there’s 5 screws holding the Flashback together. Standard Phillips screws, thankfully; no need to mess around with specialty screwdrivers today. Note the sneaky hidden screw in the middle under the sticker. Taking a look inside the case there’s definitely a lot of empty space, easily enough room to add a cartridge port! A cart slot was originally slated to be an included feature in the Flashback 2, but the feature was eventually removed as a cost cutting measure and to have the unit complete and shipped to stores for the Christmas Rush. Fortunately for us, the pinout is silkscreened right on the back of the board, and the connection points are clearly labeled by their connections on the other side. Close up of the Pinout silkscreen for ease of use. 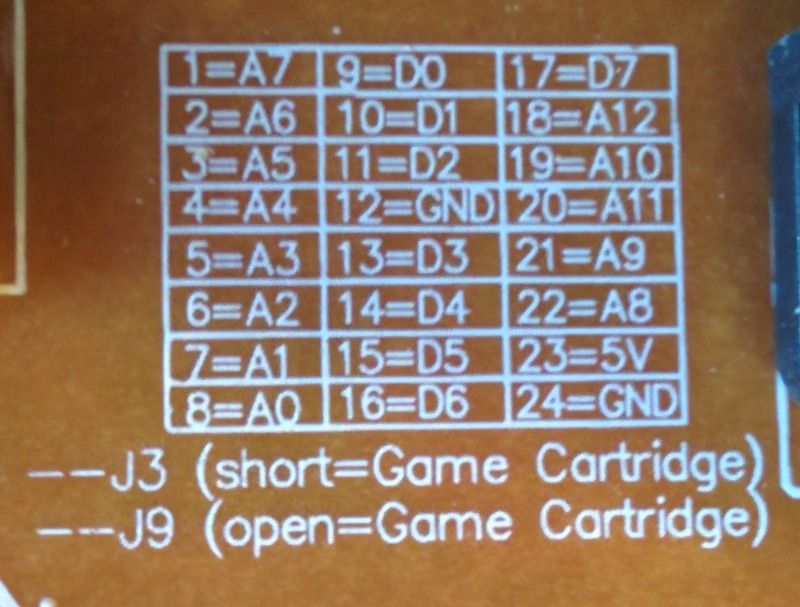 There are 24 pins in total on the 2600 cartridge and are listed here as a reference to their location on the other side of the board and what their function is. Very handy, and it makes this mod pretty straightforward. Thanks Curt! 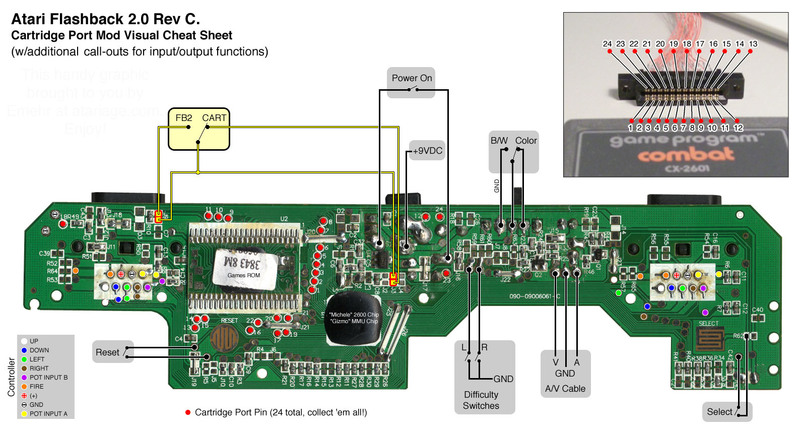 On the other side of the board, all the aforementioned cartridge points are visibly labeled next to their connection points. 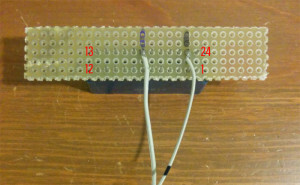 There are 24 pins in total, and most are grouped together in order in the middle of the board, with 12 and 24 near the top slightly to the right of the rom chip with 23 directly under and 18 all the way on the top left. 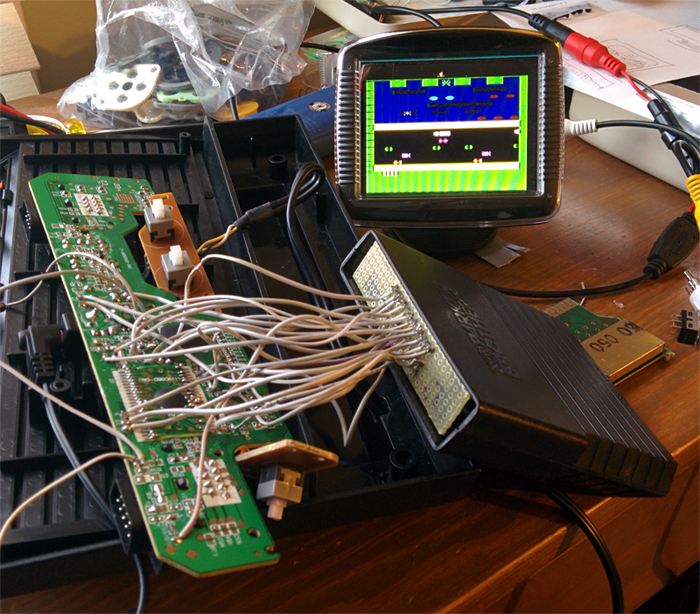 Big thanks to Emehr from Atariage for this easy to follow board scan with plenty hacking information on the Flashback 2, from cartridge points to joystick pinouts and power and a/v documentation. The numbers marked with the red dots are what we will be focusing on. Score down some perf board for the cart slot. You’ll want to cut it longer than the slot itself to build some nubs to open the security doors on the carts, but not too big where it won’t fit inside the 2600 cartridge itself. X (Xmm) by Y (Ymm) inches is what was used here, or 26×6 if you count the holes on the perfboard. Center the cart slot from left to right, but have it off by one row closer to the bottom as shown. Keep a game in to the connector while wiring up the slot to keep you from getting turned around on the orientation of wires. Wire up Pin 23 first with one of the longer wires and make a stripe or some identifier on it with a marker for easier location later, when the connector is all wired up. Use the other longer wire on Pin 18 next; better to do it first so you won’t accidentally skip it when wiring the rest of the connections in a row. 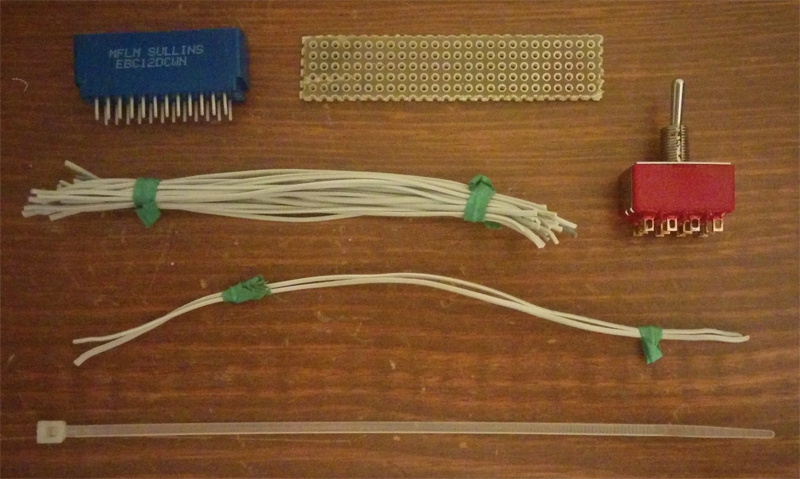 Wire the up the rest of the pins with the remaining 4″ wires. Run some hot glue over the pins for extra support to keep them from popping out. Next, connect the wires to the motherboard itself. It’s best to go in order from 1-12 then 13-24 so you don’t accidently wire it incorrectly. 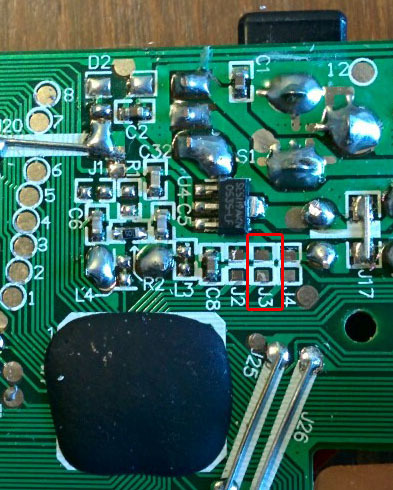 Most cartridge points on the motherboard are grouped together, and are rather close to each other so take care to not bridge connections between points. 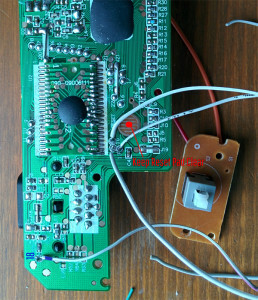 Take care in how you connect pins 12-16 to make sure they don’t cross over the pad for the reset button. As noted on the Rev C. pinout, pin 18 is all the way in the upper right of the motherboard, which is why it was wired up with a longer wire then the rest of the pins. Skip pin 23 for now, more on that later. Once all the wires are connected it turns into a bit of a rats nest, so loosely tie everything up with a cable tie to somewhat control the mess. Now that we have the cart slot all wired up, there is just one more step to go in getting it to work. 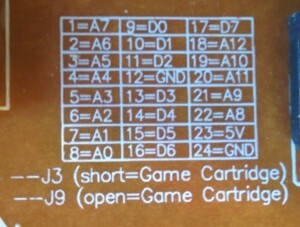 Referring back to the silk screen, it mentions two jumpers that need to be rewired for the Game Cartridge to run, J3 and J9. Out of the box, J3 is open and J9 is closed (soldered together) to run the Built-in games. To get the cart slot to run, we need to do the opposite and close J3 and open J9. You can do this direcrtly on the board if you wish, but then the built-in games will not run. They will still be there, so you might as well keep their functionality by wiring these two points to a switch to cycle between carts and built in games with a flip of a switch. Locate the J3 in approximately the middle of the board, under the power plug and by gloptop circuitry. Notice how it has two connections and is separated into two parts. All we need to do is bridge the two connections to “close” the jumper, but since we are installing a switch, solder two separate wires to each part. It’s a pretty small area so you’ll want to make sure no loose solder is bridging the two connections, which will (cause a problem) when using the other option of playing the built in games. 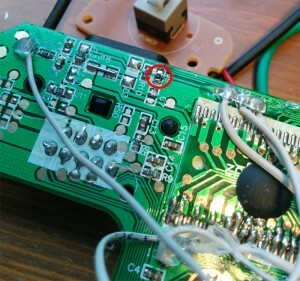 The connection for J9 is in the upper left of the board near the left joystick port. Notice here how the jumper is attached (which closes the connection) with a 0ohm resistor. Just remove it by pushing it to the side with a heated soldering iron. Be mindful not to damage or lift the pads underneath. In case of emergency you can grab the connection elsewhere but it’s an unneeded hassle, past the scope of instructions for this how-to. Once the pads are clear, solder two separate wires to each part just like you did on J3. Now we need to wire the jumpers up to a switch to function. Normally a Double Throw Douple Pole Switch could be used to alternate the open and closing of each one, but during the building of this mod I noticed that the built-in games did not like to boot up when a cartridge was inserted, even with the correct jumper mapping. From a technical standpoint I’m not entirely sure why, but it was easier to just wire up the voltage pin from the carts onto the switch along with the jumpers so the connection will break when switching to the built-in games. If you recall earlier we never connected pin 23 to anything specifically for this reason. A Triple Throw Double Pole (3T2P) switch will be used here. 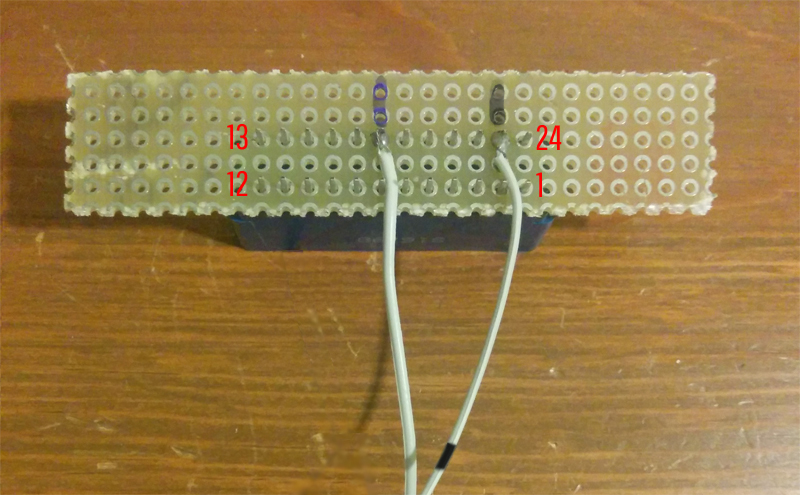 You can also use a 4T2P switch to add in 2 LEDs to correspond in each mode the Flashback is in. 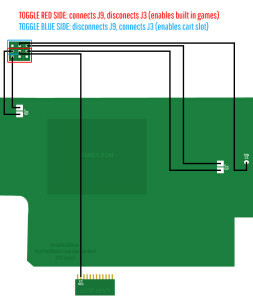 The 3T2P pinout shown here will still work; just keep a row empty for later. With everything wired up, all that needs to be done is test. Check all your wires, cross all your fingers, and slap in a cartridge cause it’s time to play some games! With any luck, it’ll boot right up. Flip the switch and make sure it cycles correctly between the built-in games and the cartridges. If games do not boot, check all the connections to make sure the wires are still in tact. A wire may have popped off of it’s connection accidentally. 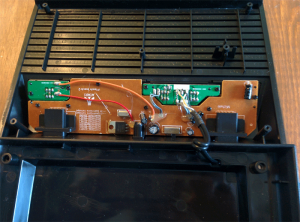 Make sure the J3 and J9 jumpers are wired to the switch correctly. The pads to solder to are very close together so make sure they are not bridged. Test without a game inserted and flip the switch to see if build-in games load to check the arrangement of pin 23, in case it was incorrectly soldered to the wrong side. Make sure the games are inserted in the correct orientation and not upside down. 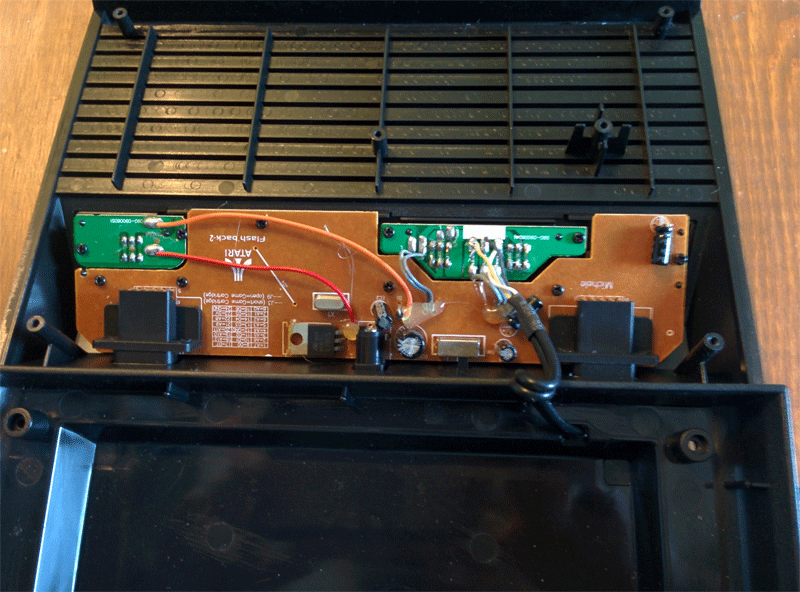 Double check the pinouts to make sure the cart slot was wired correctly and not upside-down or backwards. If everything checks out, sit back, relax, and play some Donkey Kong. 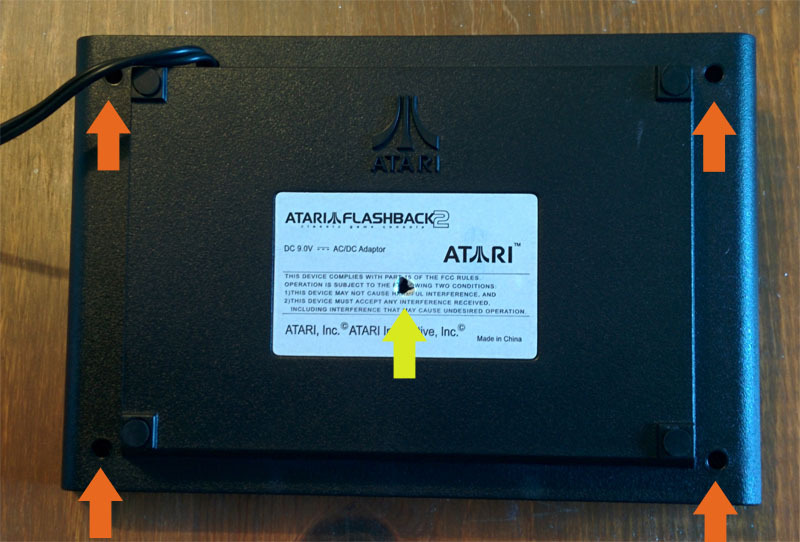 We’ll be back soon with the continuation of our Atari Flashback 2 Mods soon with Part II where we will mod the case for our newly installed cart slot. can you give a little more insight with the switches. radio shack does not have a 3t 2 pole; can i use a 2P 2pole? can you help with that wiring? thanks!